Turkey has summoned the ambassadors of Russia and Iran to protest the Assad regime's violations of de-escalation zone borders in Syria's Idlib in recent days, the Turkish foreign ministry said Tuesday. According to diplomatic sources, Turkey informed Russia and Iran about its concerns over the Assad regime's violations of the de-escalation agreement in Idlib. The foreign ministry told Russia's Ambassador to Ankara Alexei Yerkhov that the violations must end until the "Syrian National Dialogue Congress" is held on January 29. 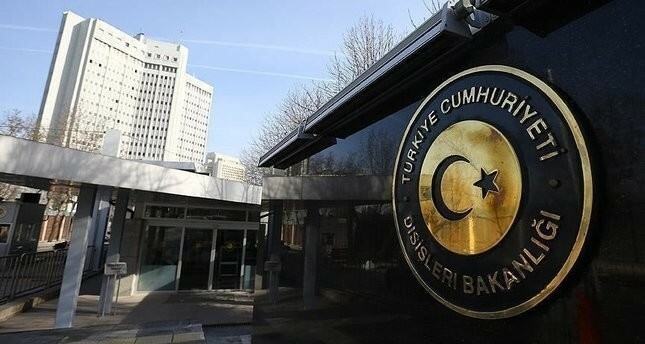 Turkey considers the regime attacks as not simple ceasefire violations but as serious violations of the borders agreed upon during the Astana process by the three guarantor countries, the sources said. Attacks on the moderate opposition by Syria's Bashar Assad's regime forces in Idlib province harm the efforts to reach a political solution, Foreign Minister Mevlüt Çavuşoğlu had said earlier in the day. "With the excuse of al-Nusra, the regime is targeting the moderate opposition. This damages the process of political resolution. The parties that will convene in Sochi should not do this," Çavuşoğlu told reporters in Ankara ahead of the Justice and Development Party's (AK Party) group meeting in Parliament. Çavuşoğlu's comments came a day after Syrian regime forces captured 14 villages as they advanced on the largest moderate opposition-held enclave in the country's north amid a wave of airstrikes. The troops aim to reach an opposition-held air base in Idlib province and secure the road linking the capital, Damascus, with the northern city of Aleppo, Syria's largest. As part of the de-escalation zones, agreed in a tripartite consensus between Turkey, Russia, and Iran, Turkish forces are also currently in Syria's Idlib province, which is also bordering the YPG-held Afrin region, monitoring the process in the military posts set up in the province. The advancement of the regime forces may also lead to nearing of the Syrian troops with the monitoring of the Turkish forces. How far the regime forces will advance and how the interaction between Turkish forces, backing the moderate opposition, will be, also remains as an unanswered question at the moment.